Life In Spite Of Me . . . So many things we do everyday. So much time and words we say and then we land. We cradle and cuddle through something tedious like a school project and the songs spill from speakers, sounds revving up gratitude for hearts alive. My son bounces on my knee, eleven years of being here in this life with me and he still delights in closeness. I’m weary but the preciousness of these times puts the hum in moments of “work,” researching topics and laughing over experiments. These are the snapshots of life’s richest layers, merely a glimpse. And then the silence calls from rooms quieted by sleep and I sit here. I want to write but the fatigue is surreal and my mind is almost asleep. The hands hover over keyboard, pull away and into my lap. I look down and there is sweetness on the floor. Such responsiveness to a gentle hello from my weary face. He quickly moves in response, stands on hind legs and curls claws into my thigh while the heater hums and the house sighs. He lavishes purring, sweet face rubbing claims then gets back to his work of rest. Ever have days where you feel life live you? Where you fret and boil over and then flow? Where you worry, wonder and then just let it all go for sheer lack of any other ideas? You land on the next thing to do and there’s a person next to you laughing, another singing in the next room and the worries suddenly feel surreal, like some twilight kidnapping in broad daylight and you hope to never go back. Just keep me here with hands made full with life’s demands, the ones that get sap sweet ooze from trees and wet with washing away yet another day’s feast. And a cat at the end of the day, rooms full of silent sleep waiting for me to retreat, turn off lights and roll with night’s calming tide. What was it I thought was so important? What alleged refuge called my name, distracting me from home? No matter. I’m here and it’s more than it was at noon ‘though spent beyond all I thought would crush me, all I thought would spoil if I couldn’t capture, redeem and liberate a grand plan of success. The day unfolded all over me, a rush of details and final whisperings shoring me up in rest. These great reversals of my strife, these relentless arrestings of all I fear will find me again. And again. Live me, life. Unfold me, love. And maybe a plan or two will fill in the alleged gaps. But now to rest before the next reversal supreme. Previous Post Fromm Feast . . .
Next Post Life Laden . . .
Reading this entry this morning left me with a renewed sense of trust, trust in myself, trust in this entire creative, introspective adventure/journey we call living, not merely existing, but so far beyond if only we could more easily recognize and experience “the moments”. Your cat is beautiful also — I miss mine. Can’t tell you how much it solidifies the work of trust in my own soul to have the input here. Thank you for taking the time to share the journey. 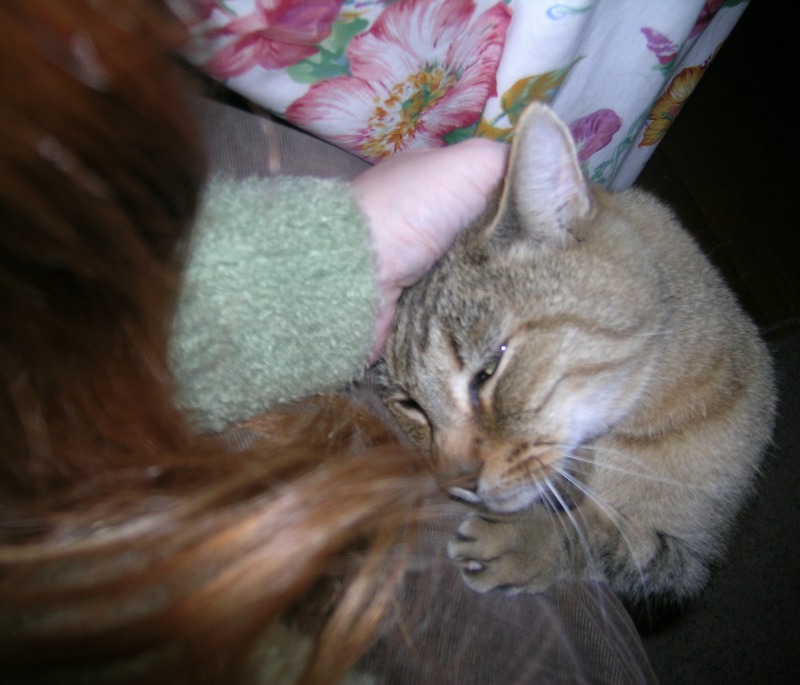 I’m sorry your cat’s gone…don’t know what I’d do without my Naji. You have a wondrous gift and facility of language J.R. You bring back the hope in me that I almost lose from time to time for the English language. And besides that, the thoughts and feelings that you express are simply simply. To where do the geese fly, my child? Master, they fly to nowhere. They simply fly. and, btw, me to you. . . cats are where the civilized world gets the claim to be civilized. Life, our universal cozy blanket, is there to wrap around us, if only we’ll let it. Love your thoughts, your words, your understanding here. This post is a real gift to all who read it. This is beautiful, beyond poetry. It seems that when I allow myself to exist in any given moment, the rest falls away. I am free to love greater. Wishing you existence in the moments. And it does just fall away. Release. I’ll take all those moments I can get Jaymie…thank you.